Capcom has released the new "The Witcher 3: Wild Hunt" collaboration event in "Monster Hunter: World". This event will be known as "The Woodland Spirit" and will see Geralt and friends taking on the Ancient Leshen; a more formidable opponent than the simple Lethen. We will convey to you about the update as soon as possible. 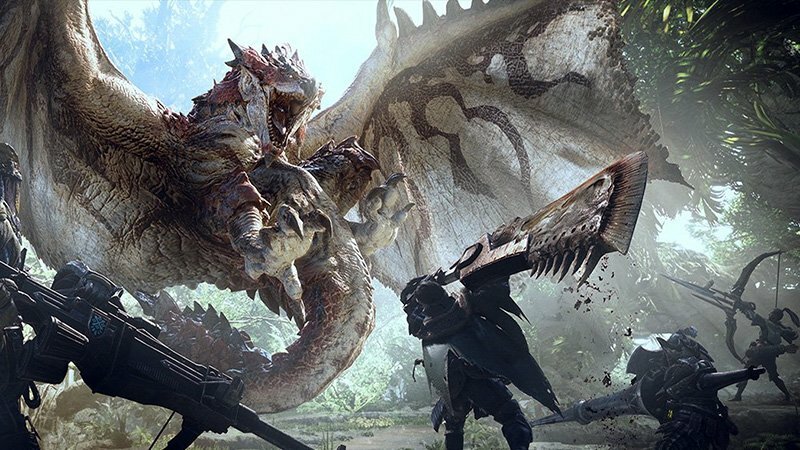 Back in 2016, we first learned that Capcom was planning a Monster Hunter movie with Resident Evil film director Paul W.S. Anderson at the helm. Apparently, the creature is no pushover but you'll have the White Wolf's weapons and abilites to help you out, including his silver sword and combat magic. Players will be able to use Geralt's weapons and abilities to take down this enemy and will be able to engage with various characters to influence the direction of the story. Those who complete the quest will be rewarded with Witcher-themed items including resources to craft Geralt's armor and weapon set, and a skin and weapon for Palico alongside new gestures, titles, pose, and guild card background. House Judiciary Committee member Val Butler questions Matthew Whitaker . Raising his voice, Raskin cut off Whitaker before he could continue. After completing the contract, players can try their luck on the second contract in the crossover called "Woodland Spirit", which some of you might remember as a contract from The Witcher 3: Wild Hunt. As a professional monster slayer, Geralt is more than up to the task of a few Ratholos. The event will also hit PC, but a release date has yet to be announced. CD Projekt Red developed The Witcher trilogy, after acquiring rights to make video games based on the books by Andrej Sapkowski. Loot collected from fallen foes can be used to create new equipment and armor upgrades styled after the monsters they've slain, allowing hunters to survive the elements and defeat the tougher opponents that await them.